So, during the work week, I drive thru a lot. I’ve been going over different options to carry my food back home. My backpack would probably squash my food. 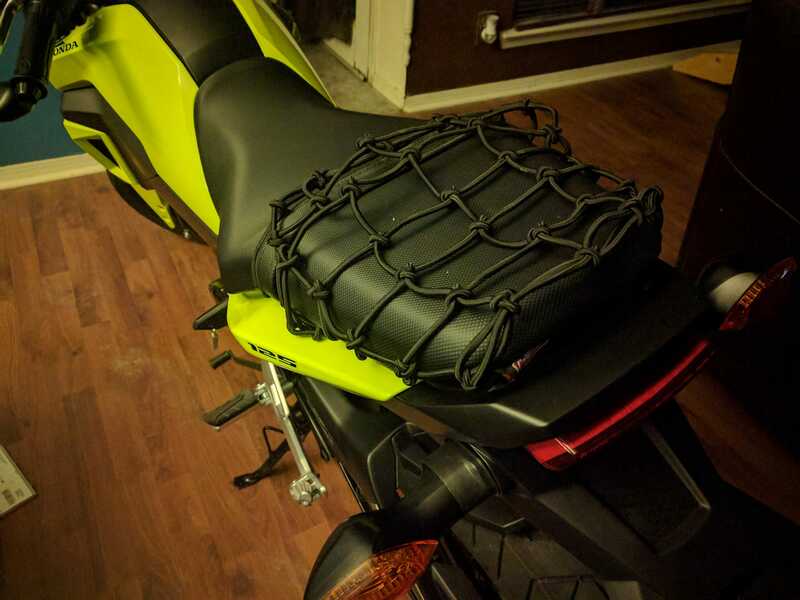 I saw some cargo nets online so I picked one up at Walmart. A Coleman MadDog for $4. I think it might work.